Darjeeling: A prominent leader of a Gorkha Janmukti Morcha trade union in the brew belt expressed support for the Binay Tamang camp on Friday. The move is being considered significant as it indicates that the Tamang lobby has started making inroads in the tea belt, which constitutes nearly 60 per cent of the hill population. 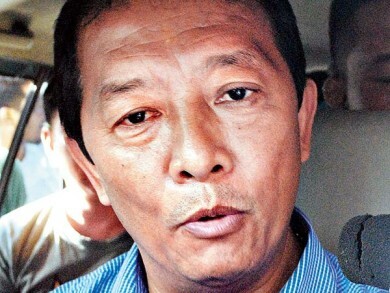 Senior leaders of the Morcha-backed trade union, Darjeeling Terai Dooars Plantation Labour Union, had so far remained silent on the split in the party and were thus seen as being with the Bimal Gurung lobby. But on Friday, Prashant Pradhan, assistant secretary of the union, issued a written statement expressing support to the Tamang camp. "Gorkhaland cannot be achieved by a sudden movement. It needs a long-term planning, proper strategy and patience. An agitation also must be organised within the framework of the Constitution and since Binay Tamang is working on these lines, we extend unconditional support to him," the statement signed by Pradhan states. Apart from Pradhan, the former chief of Janmukti Astai Karmachari Sangatan, Machendra Subba, and Gautam Rai, the secretary of the Morcha's Tukvar 1st division unit, have signed the document.